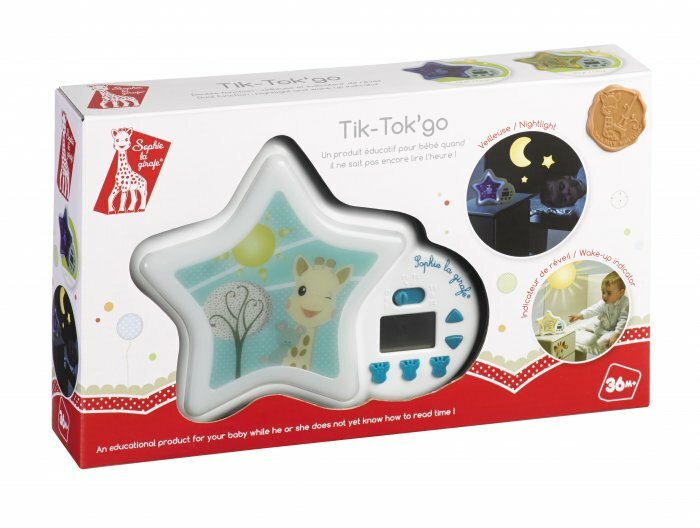 The Tik’Tokgo acts both as a nightlight and alarm clock for Baby, and is ideal for indicating to Baby whether or not it is time to get up. 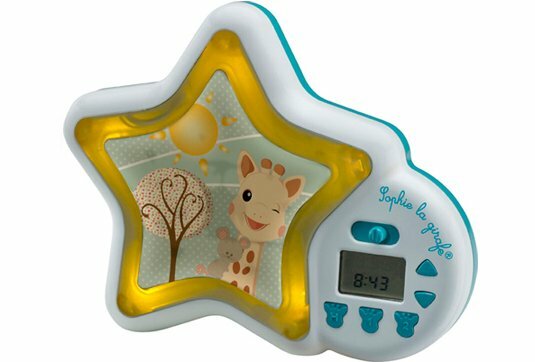 This handy unit requires adjustment of only the sleeping and/or siesta time, with the Tik-Tok'go Sophie la girafe taking care of the rest. 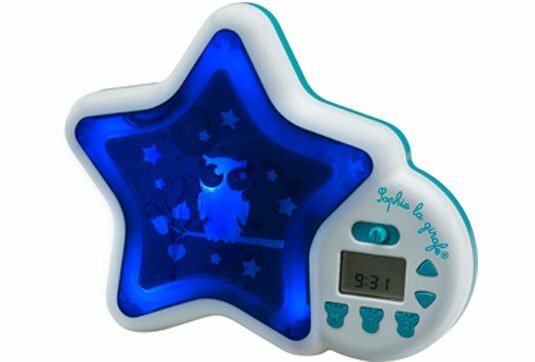 Sleep mode: The Tik-Tok’go lights up with a blue light and displays a nocturnal decor to let Baby know that it’s not yet time to get up. 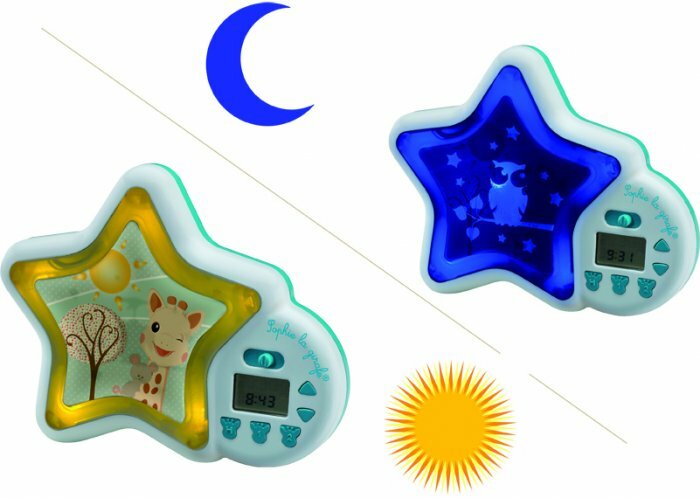 Alarm clock mode: The Tik-tok’go changes colours and lights up yellow. 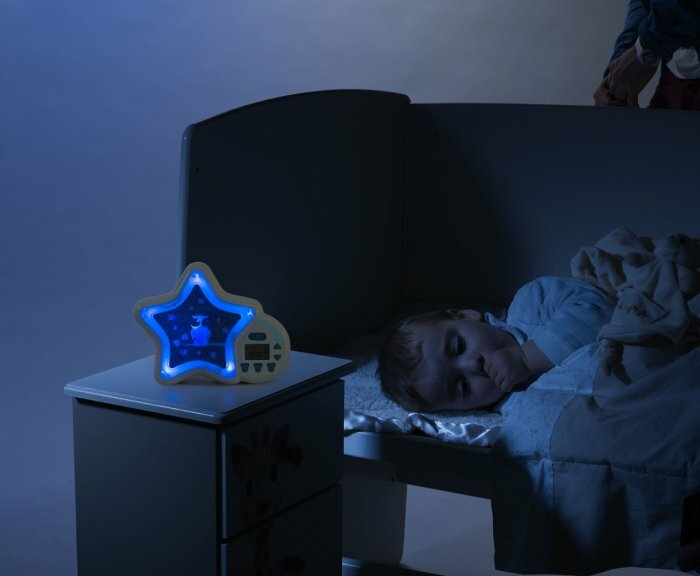 A daytime decor appears, indicating to the infant that he or she may get up. Power supply: mains outlet or batteries (3xLR6).